In the course of the year, there are a whole lot of socioeconomic activities most people engage themselves in, so much so that, they barely find time to rest, workout or even eat to satisfaction (as they wish). Christmas parties then become ‘eat-till-your-belly-hurts’ to these folks since it is the only opportunity to add some weigth to their self-assumed skinny selves before the year finally comes to an end. Many of these folks may be diligent about what they eat when they are home on their own turf, but find it hard to navigate the endless buffets and open bars at various Christmas holiday events. Are you in the same boat? Do you find it difficult to make healthy choices at such events? Do you want to avoid holiday weight gain? Below are 10 things you can do to help ensure that your next social engagement does not leave you with a huge hangover or a food coma. Hope they help! 1.The first tip is to make sure that you don’t go to these functions starving. It’s OK to be hungry because you know that you are going to eat something when you arrive, but you don’t want to be so ravenous that you just start eating everything in sight. When we are hungry we tend to make poor food choices (it’s the same reason why dieticians advice people not to go to the grocery store hungry). Eat a snack before you go. An apple or two fingers of banana (medium-sized) is a great snack because it’s portable and has lots of fiber to help fill you up. 2.Take a loop around the food before you grab anything. You want to know all the options available before you start to fill your plate. As you look over the offerings, take note of everything that’s available and start to decide what you’ll eat and how much. The worst spot to be in is the one where you see something you really want, only to look down and realize that your plate is already full. 3.Stick to “special” foods that you wouldn’t normally eat if you were home. Don’t waste calories on fattening dips, potato chips, french fries or pigs in a blanket that you can get anytime. Spend your calories on the good stuff like quiche stashed with a lot of vegies. 4.Promise yourself you’ll eat at least one or two vegetables. If your spread includes crudités, make sure you have some of those. Get your fill of carrots and celery, etc., and if you can, try to have a small plate of these items before you eat anything else. Try to avoid anything that is mixed with soda (lots of empty calories) and be mindful of how much you are drinking. Stick to wine or spritzers and if you have a cocktail, go for one that is mixed with club soda or tonic water. If you have a juice-based drink, ask the bartender to put a spritz of seltzer in with it. Drink a glass of water before you go to the event, upon arrival, and in between each alcoholic beverage. This will help keep you hydrated. 7 .Try to focus on the event and not the food. Spend time networking, talking to people, enjoying the music, the company, the ambiance, etc. 8.Position yourself away from the food. Standing next to the food or the bar makes it easy to graze throughout the event and/or keep getting yourself a drink. 9.Try to opt for a fruit-based dessert when possible. If the event has small desserts, promise yourself to only have one to three pieces. Make your pick, enjoy every bite, and then don’t go back for seconds. If you still feel like you want something else, have a cup of coffee or tea and “nurse” it for the rest of the evening. And again, pick your dessert and move away from the dessert table. 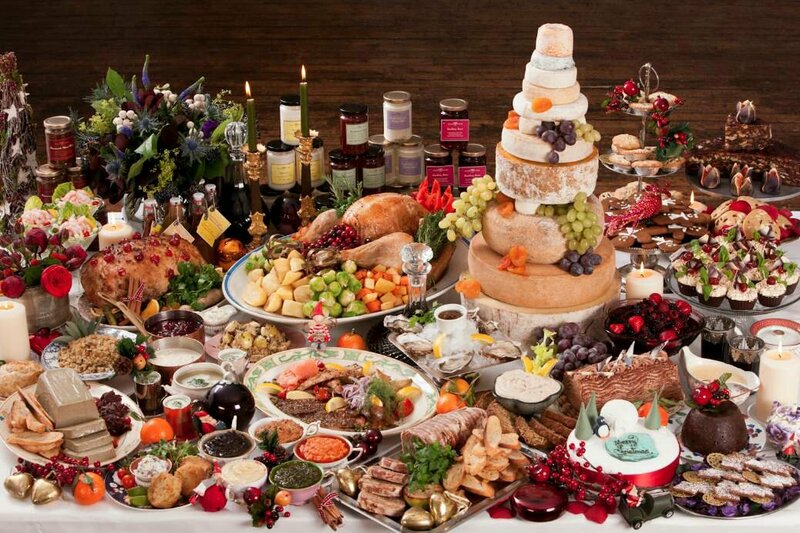 10.Eat enough food at the event to satisfy your hunger so you won’t go home and eat more food. If the event is in the evening, you’ll want to eat enough so that you won’t be hungry when you get home. While you don’t want to go crazy at the event, you also don’t want to go home hungry and eat dinner at 9 or 10 o’clock at night. There you have it; 10 tips to help you navigate those social events. While you certainly want to enjoy the food and drink, you don’t want to derail all your healthy eating at one event. And, if you’re someone that goes to a lot of these types of functions, you don’t want to start creating bad habits for yourself. So during the numerous Christmas functions, indulge (a little) and enjoy (a lot). Merry Christmas and a Happy New Year in advance. ← Goals! New year, New me?